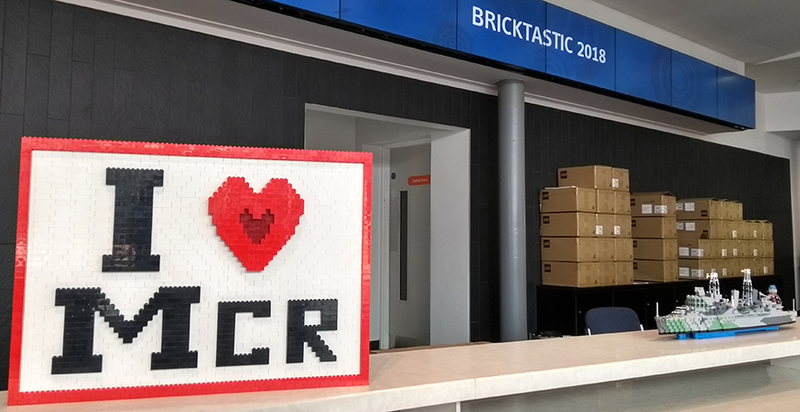 Bricktastic 2018 took place over a hot weekend at the end of June at Manchester Central Convention Centre located squarely in the middle of Manchester. I was lucky enough to visit the show on the Saturday. 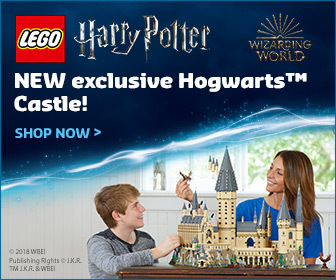 As a first time visitor to the biggest LEGO® event organised by fans in the UK, I was thoroughly impressed! 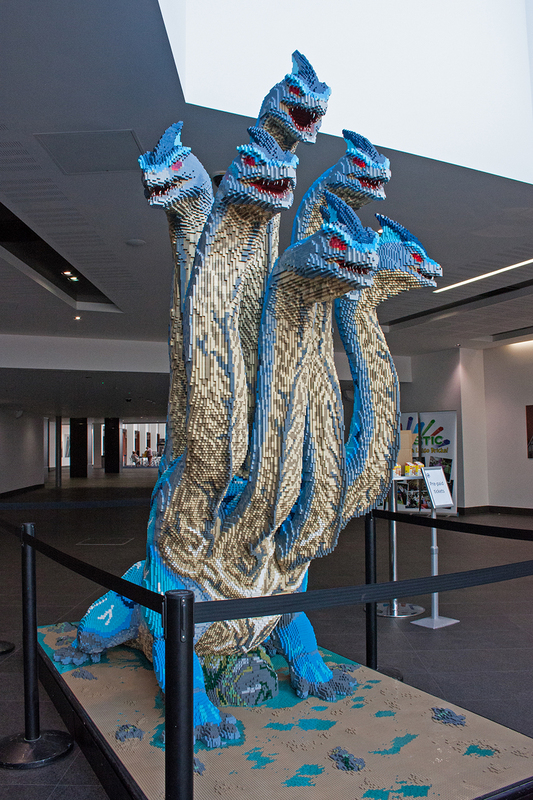 Arriving early, just a few minutes after the event opened, the scale of the event was made clear by the first of Bright Bricks’ huge builds, a rather fearsome Hydra. The towering monster came complete with menacing glowing eyes and rather threatening growling and roaring noises emanating from the belly of the beast. With the seven-headed beast watching over to ensure proper proceedings, very helpful staff members checked tickets, handing out a free polybag to each child who attended the event. 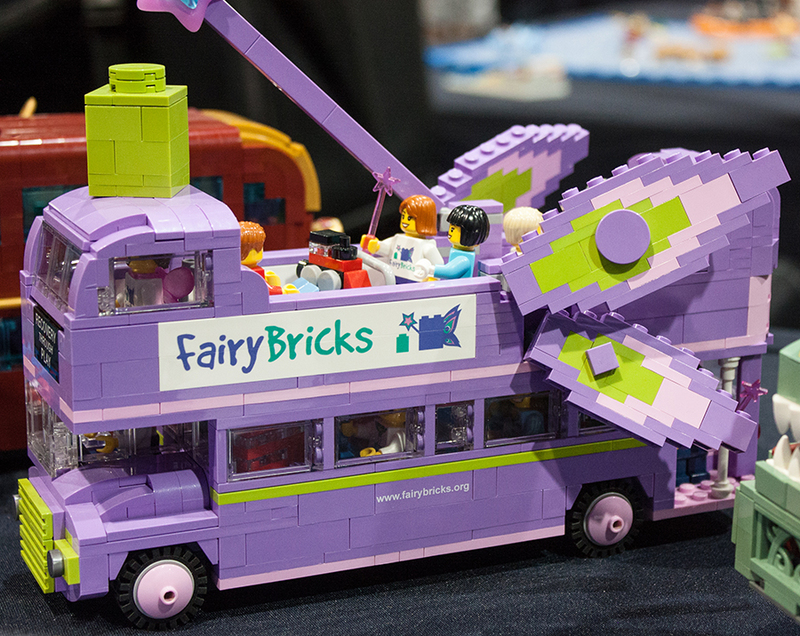 These treats are kindly provided by the event’s sponsors, including our friends over at Brickset. 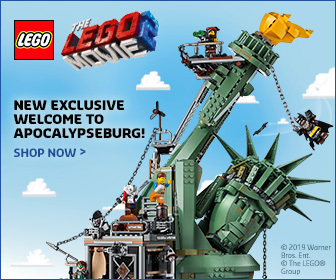 The polybag being given out when I arrived was 5005156 – Gingerbread Man. 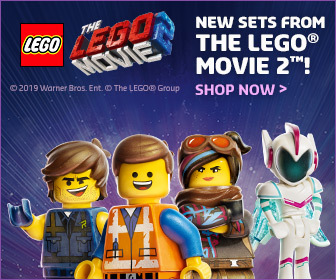 This promotional boxed minifigure was originally given away with qualifying purchases from shop.LEGO.com and LEGO Brand stores during December 2016. 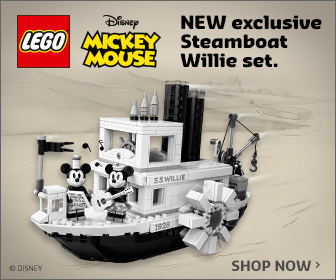 It was a nice surprise, then, to see these sets surface 18 months later. 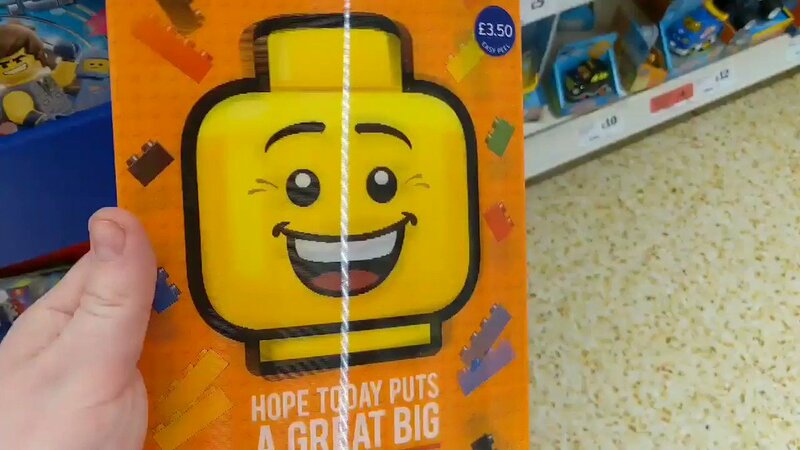 I witnessed many excited children at the event sitting down to pop open the door of the Gingerbread House box to reveal the minifigure inside. 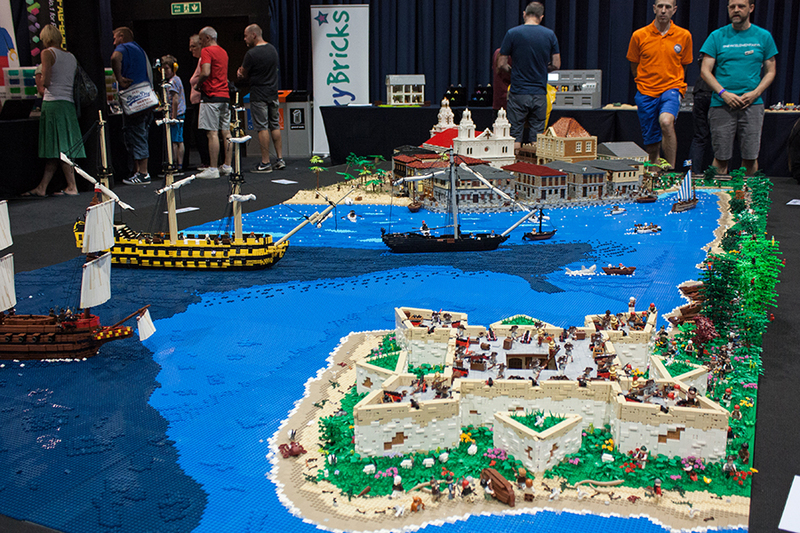 At this point I must mention and commend the convention staff, who had such a fantastic enthusiasm for the event and were absolutely wonderful with the youngest Bricktastic visitors. I saw one staff member explain the ‘no touching’ rule to a pair of young visitors, making them promise to not touch by swearing on a brick-built teddy bear! 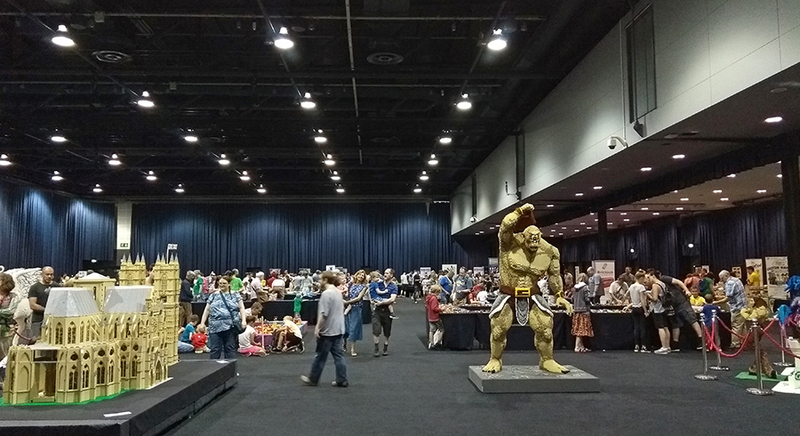 After a short walk through the reception and atrium area, the convention floor opened up before me, with hundreds of AFOL builds, retail stalls and activity areas. 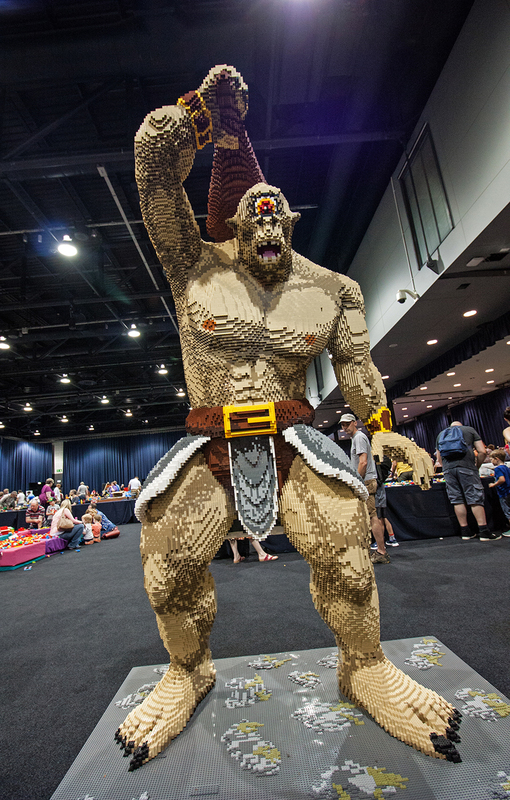 Aside from the sheer scale of the event, the first thing to strike any visitor to the event was another of Bright Bricks’ stunning constructions, a fearsome Cyclops! Upon entering the hall it was clear that the professional builders had brought a mythological themed collection of builds, with a Pegasus, Fauns and Furies all dotted around in between fan builds and stalls. With so much to take in, I decided to take a preliminary lap around the show floor to check out what was there, to ensure I could plan my way around all of the amazing builds. I must admit that I also took the opportunity to indulge in a little retail therapy at the Minifigs.me stall and a few of the other sellers’ tables. 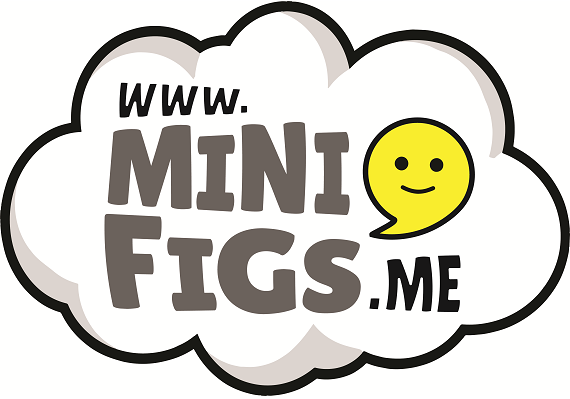 My wallet pleasantly lightened and my minifigure collection newly expanded, I started working my way around the builds and displays from fans around the country and around the world. 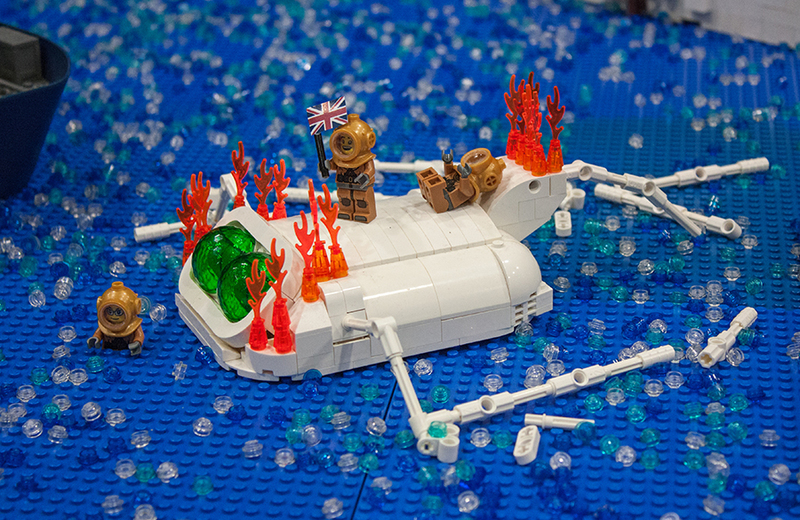 Whilst there were so many outstanding builds at the show (I think I’ll need another article to discuss them all! ), I must briefly showcase a couple of personal highlights. Firstly, my absolute favourite layout of the event (apologies to the guys at LNUR, who come a very close second! 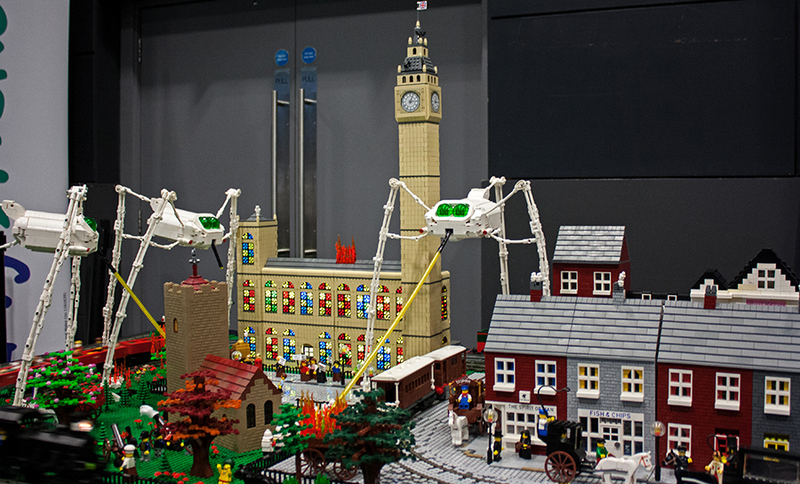 ), was the fantastic War of the Worlds display by Skegga Thorn, Jacob Walker and Andrew Walker. This huge display was a tribute to H.G. Wells’ classic Science Fiction novel, which sees the invasion of a Victorian London by menacing Martians in hulking War Machines. The builders also based the scene on the seminal concept album by Jeff Wayne, ‘Jeff Wayne’s War of the Worlds’, originally released in 1978 and re-released for ‘The New Generation’ in 2012. As an avid Science Fiction reader and a huge fan of the Jeff Wayne adaptation (which the builders had blasting over speakers behind the display), I was immediately drawn to the stunning build on my first walk-around of the exhibition. My second major highlight was the debut of this year’s project from the awesome people at Brick to the Past. The group specialise in huge, jaw-dropping recreations of historical scenes and events. As my particular area of interest is History (I’m currently an undergraduate Classical Studies student), the displays by Brick to the Past never fail to excite me. The group debut a new build each year, always outdoing themselves in terms of scale and detail. This year’s was no exception! This year’s ‘Big Build’ is titled ‘Henry Morgan: Welsh Raider of the Spanish Main’ and is a tribute to the infamous buccaneer who terrorised the seas in the 17th Century. Most commonly remembered today on bottles of distinctly non-family friendly ‘Captain Morgan’ rum, the Bricks to the Past team have decided to bring Morgan, and this exciting period of history, to the family audience of LEGO fans who see this magnificent display. 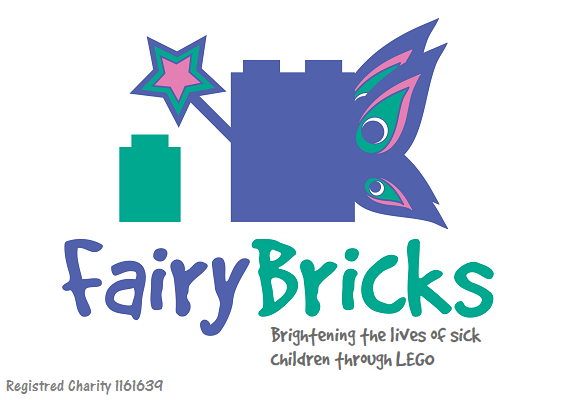 Bricktastic is organised by the fantastic charity ‘Fairy Bricks’, who bring the joy of LEGO to sick children in hospital across the country. 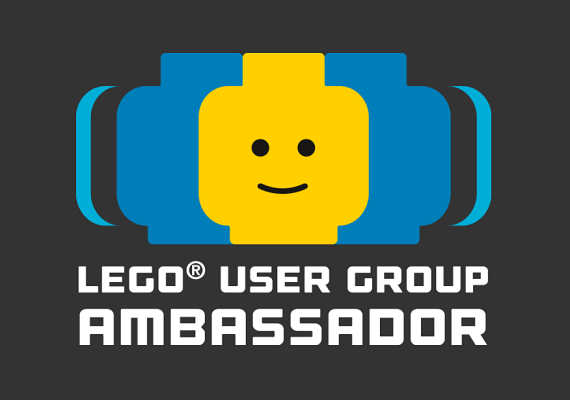 At it’s core, the event is about raising funds for the charity, bringing together the best of the LEGO community for the best of causes. As such, the event is largely run by volunteers and I would like to take a brief moment to thank them for their hard work. The build pictured above, discussed in more depth here, is a fantastic nod to the charity by Gary Davis. Another fundraising activity for charity was present, in addition to Fairy Bricks’ regular mosaic and tombola, raising money for a different cause. 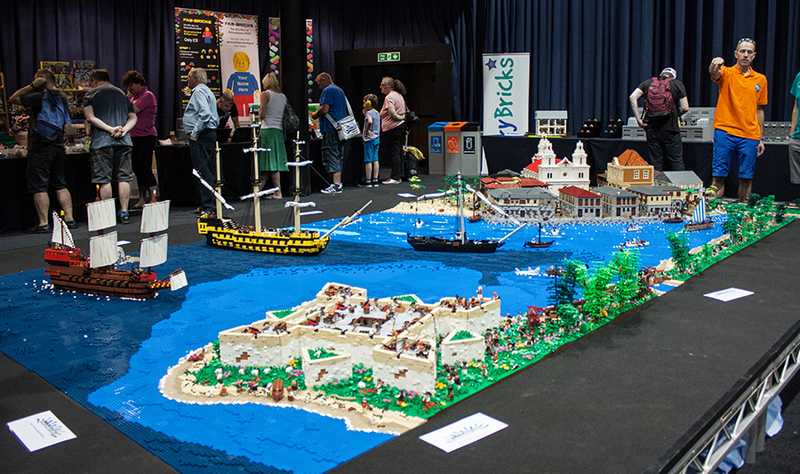 Bricktastic is a yearly fixture in Manchester and was shocked by the dreadful events that occurred at Manchester Arena just over a year ago. 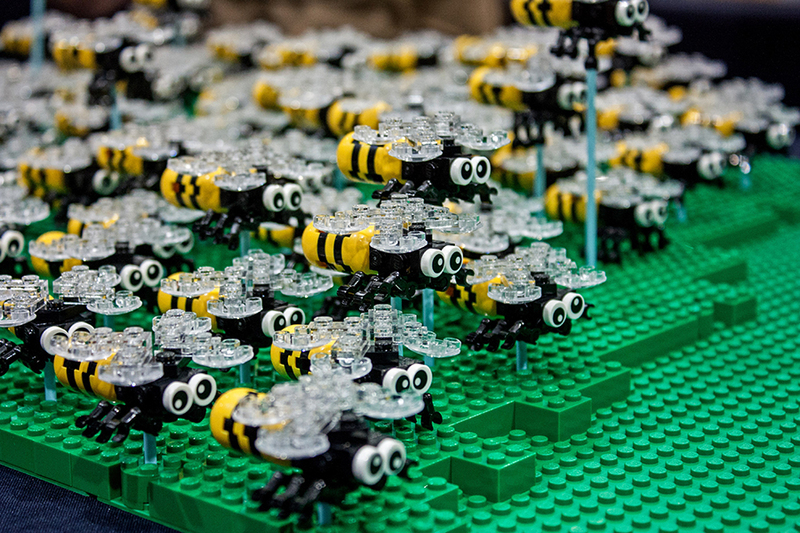 Although there was not enough time to prepare a tribute for the 2017 event, in 2018 all visitors were able to build a bee, a symbol synonymous with Manchester and her people, which will be displayed imminently and then sold with the proceeds going to the Manchester Emergency Fund. To read more about this wonderful project, please click here. Many hours after I arrived at the event, it came time to drag myself away from the haven of the brick (and air conditioning) and emerge into the bustle of Manchester to catch my train home (with a parting growl from the Hydra). Bricktastic 2018 was a fantastic event, beating any and all expectations I had going in. There was so much going on that I couldn’t even begin to cover it all and not break BricksFanz’ servers, so there is only one solution. I’ll have to go back next year and see what wonders are on offer in 2019! Thank you for reading and if you want to find my far briefer thoughts, ramblings and photos, you can find me at @legobookworm on Twitter and Instagram. 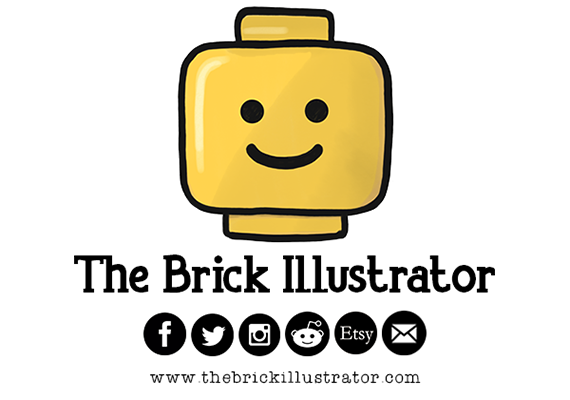 Hullo all, I’m Daniel, the latest addition to the BricksFanz team! When I’m not building, photographing, reading or writing about Lego, I am an Undergraduate student working on a Classical Studies degree. I also spend far too much time playing video games (especially Planet Coaster), nerding out about Star Trek and Doctor Who, adding to a growing vinyl collection or drinking copious amounts of tea!